Many European grid operators are girding themselves for a future in which dispatchable power is scarcer than today. DUBLIN - Irish grid-balancing prices soared to €3,774 ($4,284) per megawatt-hour last month amid growing concerns over dispatchable power capacity across Europe. The price spike, triggered by an alert regarding generation losses, came only four months after Ireland and Northern Ireland launched an Integrated Single Electricity Market (ISEM) designed to make trading more competitive and improve power distribution across the island. Evie Doherty, senior consultant for Ireland at Cornwall Insight, a U.K.-based energy consultancy, said significant price volatility was to be expected while ISEM is still settling down. introduced a single market for Great Britain, called British Electricity Trading and Transmission Arrangements, in 2005, it took at least six months for volatility to subside, Doherty said. Ireland and Northern Ireland have been operating with a single market “very successfully” since 2007, said Doherty. Although each jurisdiction has its own regulatory authority, they make joint decisions regarding the single market. ISEM, launched in October 2018, was designed to help include Ireland and Northern Ireland day-ahead electricity prices in a market pricing system called the European Union Pan-European Hybrid Electricity Market Integration Algorithm. In time, ISEM should also allow the Irish grids to participate in European intraday markets. At present, they are only able to do so with Great Britain. “The idea was to...integrate energy use and create more efficient flows between jurisdictions,” Doherty said. 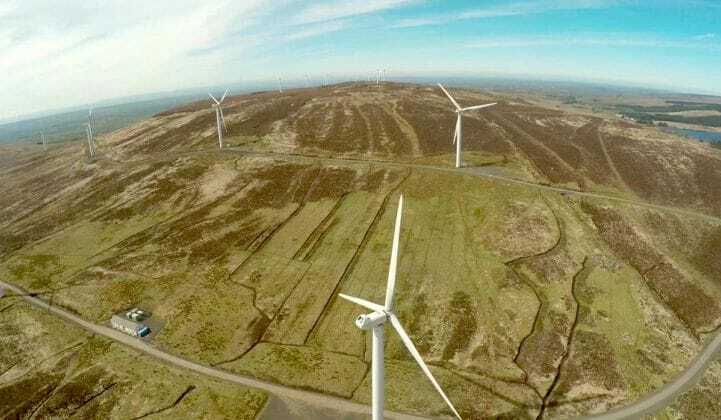 EirGrid, the Irish transmission system operator, has reported that flows on its interconnector with Northern Ireland are more efficient than before, she said. The price spike happened when the System Operator for Northern Ireland issued an alert for an unplanned plant outage at a time of low renewable output and constraints on the north-south tie-line with Ireland, according to a Cornwall Insight analysis. Although it appears to have been a one-off event, there are increasing worries that a shortage of dispatchable power could lead to similar situations elsewhere across Europe. Last month, newspaper Frankfurter Allgemeine Zeitung (FAZ) reported that German industrial concerns had been forced to curtail more than a gigawatt of power consumption to maintain operational reserves on the grid in December, after renewable production fell short of expectations. Paul-Frederik Bach, a Danish energy consultant, has collected data showing that this was not an isolated incident. The FAZ report said German aluminum smelters had been forced to cut back on energy use 78 times in 2018, he noted. Energy availability was also a concern last year in Belgium, where six out of seven nuclear reactors had been closed for maintenance. The closures forced Belgium to import 23 percent of its electricity from neighboring countries, Bach reported. In a separate note, Bach revealed that 11 European countries that were net importers of energy had boosted their imports by 26 percent between 2017 and 2018. It is important to note that electricity imports do not necessarily imply a shortage of power, he stated. However, it is also true that many European grid operators are girding themselves for a future in which dispatchable power is scarcer than today. EirGrid, for example, expects dispatchable generation and interconnection capacity to drop from 10.6 gigawatts in 2018 to 9 gigawatts in 2027. The Swedish transmission system operator Svenska Kraftnät, meanwhile, is forecasting winter peak power deficits could rise from 400 megawatts currently to 2.5 gigawatts in 2020-21. Research conducted by the European Network of Transmission System Operators for Electricity, suggests power adequacy will fall across most of Europe up to 2025, although perhaps not to a critical degree. The continent’s ability to deal with the problem will be helped by having more efficient trading systems, Bach told GTM. That means developments such as ISEM could be a step in the right direction, despite initial price volatility. In the long run, however, Europe will need to make sure market improvements are accompanied by investments in interconnectors and reserve capacity. “Somewhere there must be a production of electricity, even when there is no wind,” said Bach.